A land where royalty is the way of living. A land where colours represent emptions. A land where celebrations know no boundaries and usher festivity among everyone. And a land that has endured its diverse range of cultures in the most benevolent ways. Welcome to Rajasthan, the ‘Cultural Capital of India’! One of the most alluring tourist destinations in the world, the ‘Land of Maharajas’ is one such place that showcases the most exuberant colours and cultures. From the costumes to people’s food habits, religious celebrations to social gatherings, Rajasthan is still adhered to its diverse traditions and rich cultures. Let’s embark on a sojourn through this imperial land and know why it is fondly called the ‘Cultural Capital of India’; let’s know about the cultural aspects of Rajasthan! 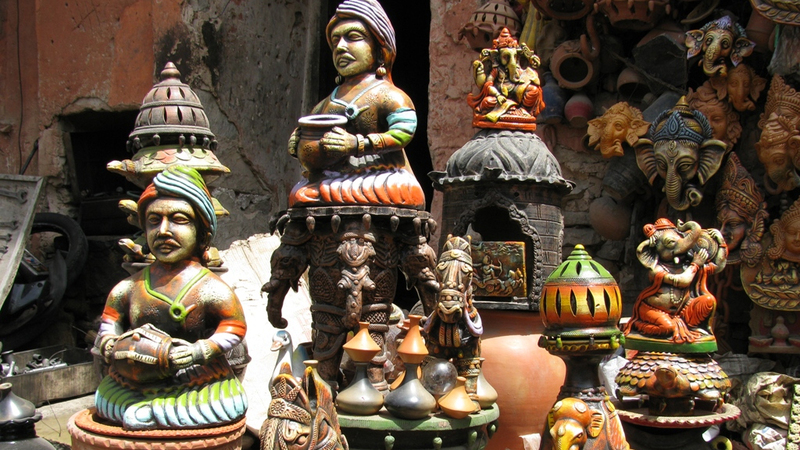 Rajasthan has a history that is as old as the history of Indus Valley and Harappan Civilization. 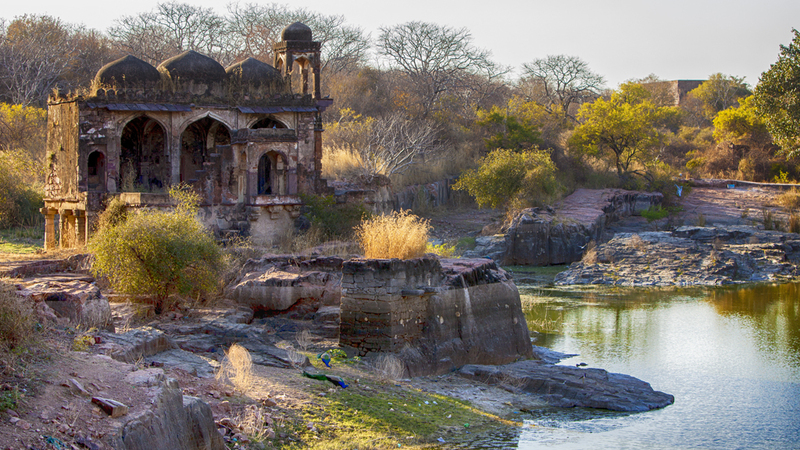 The first traces of human settlements that were found around Brahmavatra, Mehranagrh and Rewari regions were estimated to be more than 5,000 years old. Further evidences found all across the state, made it very evident that this part of the country was initially inhibited by a diverse range of tribal groups. Among these tribes, the Bhils, Minas, Lohars, Garasias, and Sahariyas were the most dominant ones. The tribal areas were eventually conquered and ruled by Arjunyas, Kushans, and several other before the establishment of the Rajputana clan in Rajasthan. Today, though, Rajput cultures and traditions are being primarily followed, several parts of the state still follow its tribal ethnicity and practices. Being a mix of faiths, practices, and diversities, Rajasthan showcase a vibrant display of cultures. Life in this desert land is all about traditional ways of living. 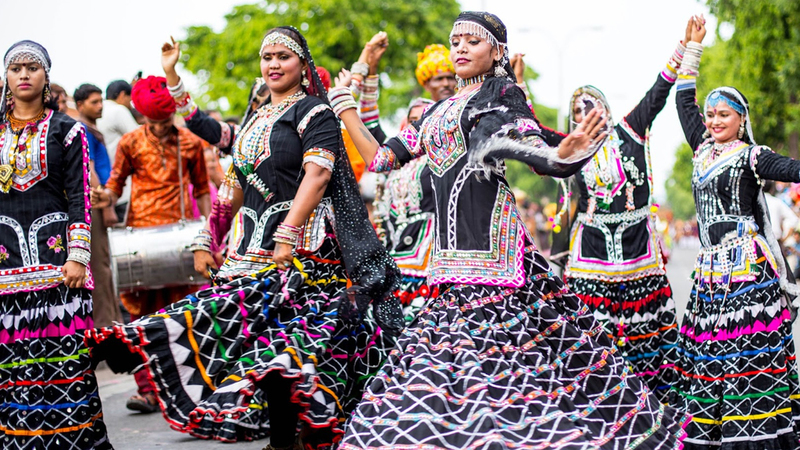 Be it the architecture, costumes, cuisine, local dialects, arts and crafts, or its fairs and festivals, you can always find a unique charm and plethora of celebrations while travelling around this state. Today, Rajasthan has developed like any other Indian state. However, unlike them, this gorgeous state has endured all its cultural aspects and never hesitates to introduce the outer world with them. Let’s delve deep into the cultures of Rajasthan and have a livelier glimpse of how life thrives in this desert land of India. Bright colours, intricate designs, mirror works, and chunks of silver or other pieces of jewellery are the most important elements of Rajasthani attires. Be it the men or the women, they all love to adorn themselves in thwe most colourful ways while being grounded to their tradition and cultural values. Since the state is dotted with a diverse range of cultures, dressing among the locals vary from according to their region. However, they showcase a striking range of similarities. Men usually love to don colourful turbans called ‘pagri’; the Jodhpuri Safa and Jaipuriya Pagri are the two most popular variants of pagris used in Rajasathan. While in some places, ‘dhotis’ are considered to be the primary wear, ‘pyjamas’ can also be seen in most of the places as the traditional attire for the lower portion of the body. Rajasthani men are also inclined towards ‘kurta’ or a traditional dress called ‘angrakha’ that resembles much to the frocks worn by ladies. Women in Rajasthan has a strong bond with colourful clothing and classical jewelleries. While ‘sari’ is considered as the most traditional women-wear, women in the ‘Desert Capital’ of India loves to wear colourful ‘ghagras’. Usually worn from the waist, this skirt-type dress reaches till the ankle. They mostly prefer hand-printed, block-printed, or dyed ghagras along with a blouse called ‘cholis’. Be it the ghagra or the cholis, they are never complete without matching set of jewelleries. In some cases, you would also find ghagras laced with precious metals, stones, or even diamonds! With Hindi as the most commonly spoken language, you can always find the mix of local essence among the Rajasthanis. Each of the region has its own dialect and; you may also find new words or linguistic scriptures as you move around the entire of the Desert Capital of India. Though language is a diverse aspect, you would always find all the forms and dialect equally soothing to your ears. Music has always been an integral part of Rajasthani Culture. Historical evidences found across the state clearly shows its affinity and inclination towards folk music and dance. Being dominated by tribal groups in the past, tribal or folk music plays a pivotal role in the culture of Rajasthan. 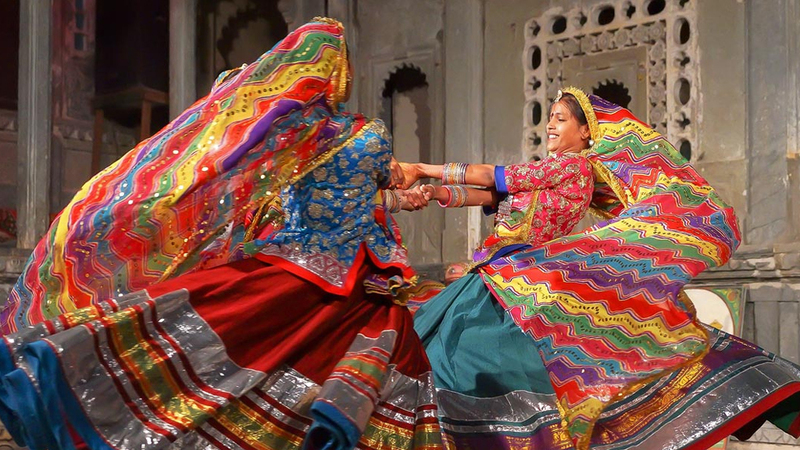 To name a few, there are the Ghoomar dance form originating from Udaipur and Kalbeliya dance form originating from Jaisalmer. Other popular and prismatic dance form includes Kathaputali, Bhopa, Chang, Teratali, Ghindar, Kachchighori, Tejaji, Parth, and several others. Talking about the folk songs of Rajasthan, they mostly include the heroic tales, eternal love stories, and devotional songs. The use of traditional musical instruments like dholak, sarangi, sitar, and others make Rajasthani music a true euphoric experience for the listeners and music enthusiasts. The rulers of Rajasthan were patrons of art, crafts, and architecture; the opulent palaces, glorious forts, intricate metal works, textile printings, mirror works, etc. are lively examples of this! Most of the Rajput rulers were connoisseurs of art and crafts, and have periodically showed their extravagant skills in multiple ways. Their exquisite taste caused the perfect amalgamation of different types of art-forms into one; mainly Indian (or Hindu forms), Islamic, British, and European. Their yearning for art, craft and architecture, makes it pretty evident that they were much ahead of their time. Their visionary skills, eye for perfection, and cravings for the most elegant establishments is truly unique and cannot be matched in the coming centuries. Be it the opulent architecture, miniature paintings, handicrafts, or even the art forms used in puppetry, culture of Rajasthan is truly inspiring for the entire world and a true delight for the eyes of the beholders. Tie-dye works, zari work, embroidery, mirror work on clothes, use of precious metals, and other metal works are some of the indigenous forms of Rajasthani traditional form of art and crafts. 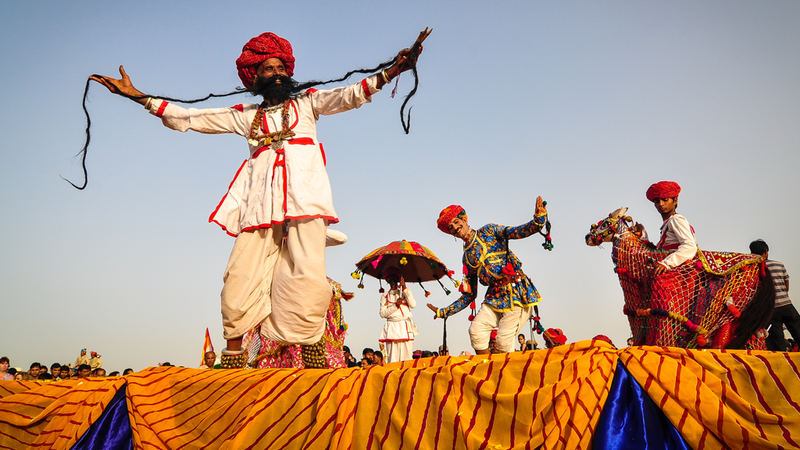 The culture of Rajasthan is mainly driven by its fairs and festivals. Be it a religious festival or a regional one, a celebration for good-will or to mark any of the historical events of past, the mighty Thar Desert celebrates all its events with great enthusiasm and vigour. 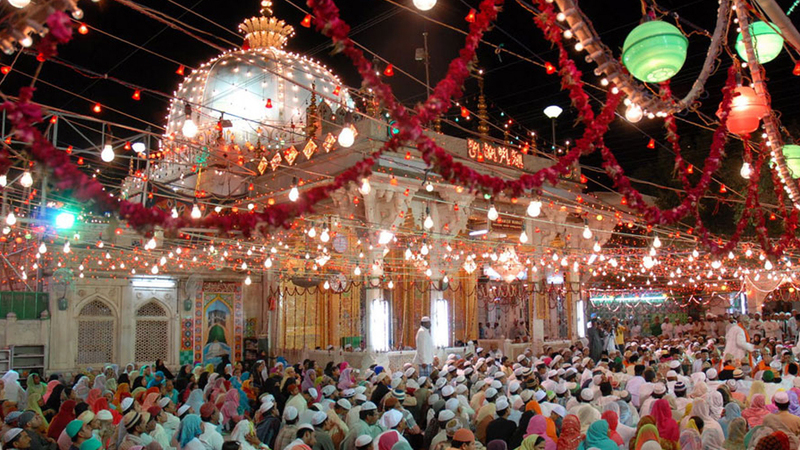 While most of its fairs and festivals follow the Hindu beliefs and practises, the entire of the state participates in the celebrations and make each of them a gala event. Diwali, Gangaur, Teej, and Makar Sankranti are some of the most revered festivals in India’s Desert Capital. 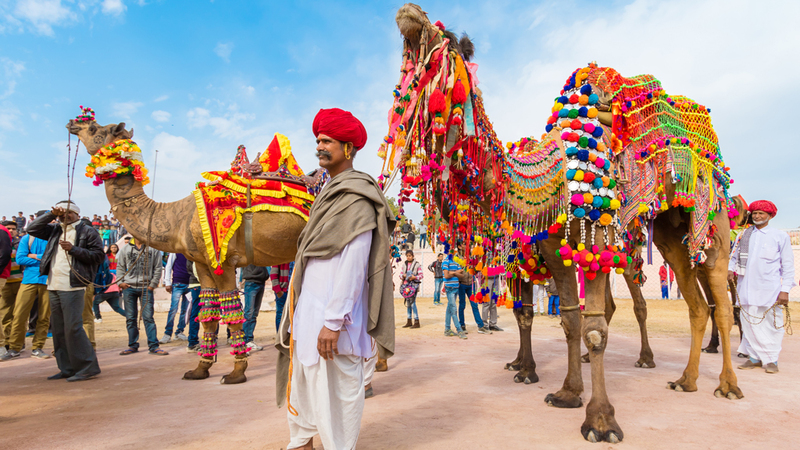 Also, since the culture of Rajasthan has an eternal bond with camels, the state hosts a number of events to commemorate this bond throughout the year. Kite Festival, Desert Festival, Pushkar Mela, and Jaipur Literature Fest are some of the most appealing and colourful annual festivals in this part of the country.